For 14 months of my life, I was the most tired I've ever been. 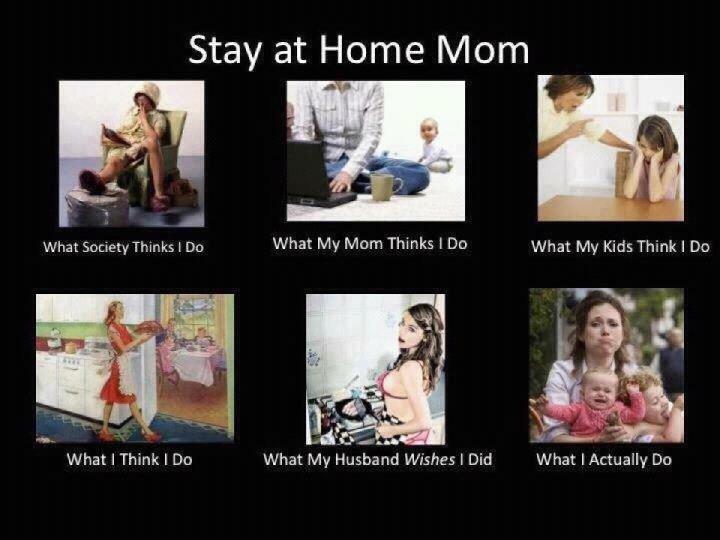 This is what I remember about quitting my job to try my hand at being a stay at home mom. • A tiny human kept screaming at me and we hadn't even been formally introduced. • For the first time in my life, I suffered from anxiety. Some might say it was postpartum depression but I'll never admit that so let's stick with anxiety. • Jay Leno reruns became my saving grace at 3 a.m. That guy is a genius! • I learned how to clean a room without making a single noise. I'm like a ninja in that way, okay, maybe sloth is a better comparison. • My AHA! moment came at 2 a.m. when I was scrubbing the kitchen floor of dried baby food. I realized all those years my aunt cleaned her house at 3 a.m. wasn't because she was enjoying herself. It was the only time she could do it with a career and two kids. The first three months of a baby's life is boot camp for the parents. You learn to spring into action after five minutes of sleep or three hours. You perfect your duties in the dark, in the cold and in pain. Bringing a child into this world is a traumatic yet inspiring feat. Whether a mother decides to stay home or work, we should respect her decision because either way she's got her work cut out for her.